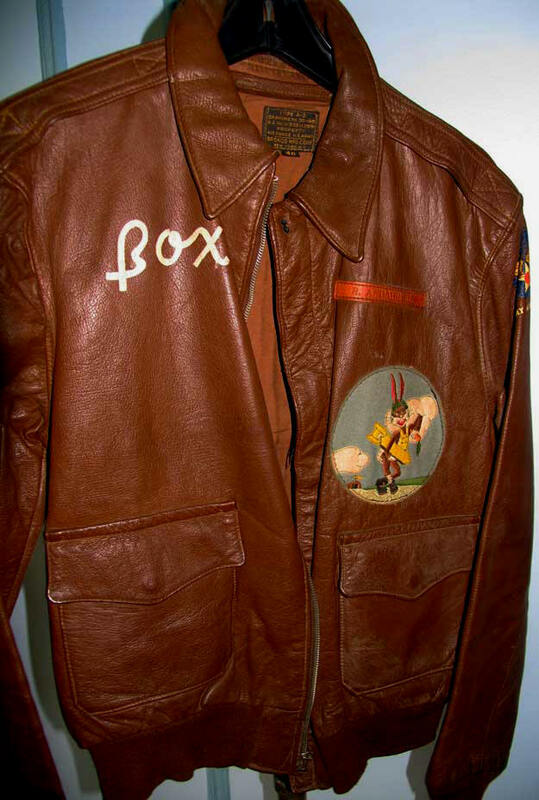 A barely worn Russet Goatskin A-2 from the famed "Memphis Belle" squadron, one of the first B-17 units sent to Europe in 1942. The remarkable English-made squadron patch combines embroidery and composite felt construction. Note the fully intact AAF decal on the left sleeve -- very rare for these decals to survive. The pilot's name was Carr, hence the painted nickname "Box"! 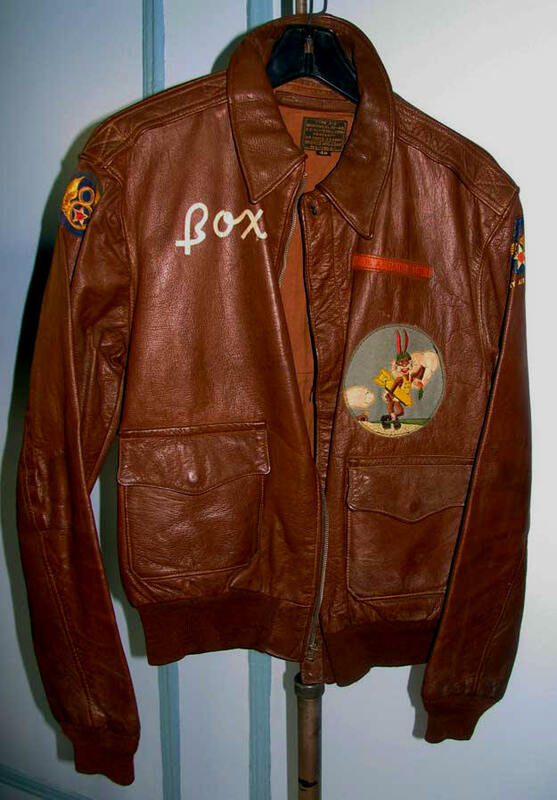 The felt 8th AF patch on the right sleeve is also somewhat unusual -- such were generally uniform insignia. Note too the Crown zipper. When we obtained this piece we couldn't believe it was so pristine. Made by BRONCO SPORTSWEAR, a major WWII contractor noted for distinctive, high quality A-2s, evident here in the beautiful collar definition and graceful epaulet construction and stitching.